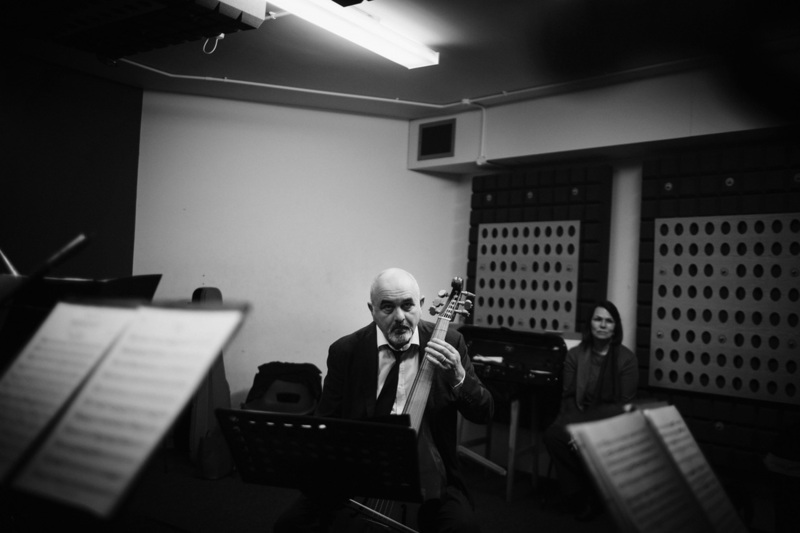 After studying with Nikolaus Harnoncourt in Salzburg, Richard Boothby founded the Purcell Quartet in 1984 and was a founder member of Fretwork in 1985. Since then his career has been bound up with these two groups with whom he records and tours; and through whom he plays the broadest range of repertory for the instrument from the earliest music to the latest contemporary music commissioned for viols.With the Purcell Quartet he has recorded nearly 50 albums with them for Hyperion and Chandos. He tours Europe, Japan and the United States regularly with both ensembles. In 1998 he directed performances of Monteverdi’s ‘L’Incoronazione di Poppea’ with the Purcell Quartet; and in 2001 directed them in a fully-staged production of ‘L’Orfeo’, with Mark Padmore in the title role. As a soloist, he has given many recitals of the rich solo repertory, and in 1994 he recorded the three Bach sonatas for viola da gamba and harpsichord with Shalev Ad-El for Chandos Records, to critical acclaim. He has given many recitals of the great suites by Antoine Forqueray, with whose music he feels a special affinity. He is professor of Viola da Gamba at the Royal College in London.